Introducing Dear Teacher, Don't Give Up! An episode of Dear Teacher, Don't Give Up! Every teacher hits a low point. Many recover. Some don't. Dear Teacher, Don't Give Up! is a show that brings you stories of how some of today's best teachers have gone from surviving to thriving in one of the toughest jobs there is. 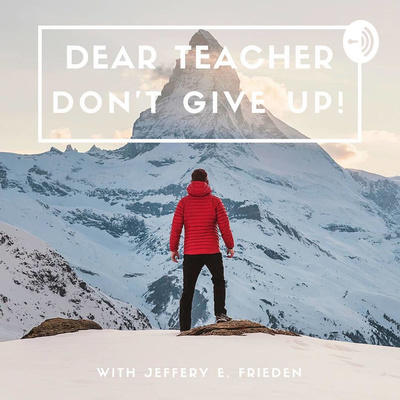 Jeffery E. Frieden is on a mission to connect teachers so that we can increase our impact and WIN in the classroom! Join us as we draw encouragement from great teachers who have pushed past the lowest points in their career and found that teaching really can be the job of their dreams. Email makethemmasterit@gmail.com. and share your story. "Am I Allowed to Have a Life?" with Dave Stuart Jr.
Dear teacher, when it comes to the challenging work of classroom instruction, have you ever felt overwhelmed? Maybe boxed in? How about exhausted? If you have, guess what? . . . That's completely normal! Teaching is a joy, at least it should be, right? 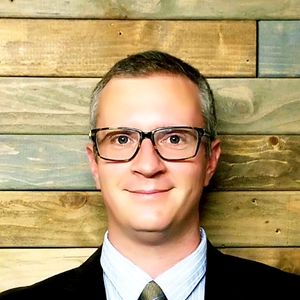 My name is Jeffery E. Frieden, and I am here to help CONNECT teachers so that we can intensify our impact and WIN in the classroom. Dear Teacher, Don't Give Up! is a show that brings you stories of how successful, joyful teachers have gone from surviving to thriving in the job they love. Teachers who have endured set backs, struggles, and hardships. Teachers like you! SUBSCRIBE TODAY on Apple Podcasts, Google Play, Anchor.fm, or wherever you may be listening, and together we can learn to face the reality of teaching in today's classroom, and discover that it really is the most rewarding job a person can have.